STV staff could strike within the next month after the Scottish broadcaster announced a restructure that will see 34 jobs lost in news and its secondary TV channel, STV2, closed down with the loss of a further 25 jobs. STV said its STV News 2020 strategy would deliver significant cost savings – £1m per year over the course of a three-year restructure and growth plan. Following the announcement yesterday, members of the National Union of Journalists held a chapel meeting at STV in which staff voted unanimously to hold a ballot on industrial action, including a strike. Any industrial action would primarily be on the issue of compulsory redundancies, Press Gazette understands. 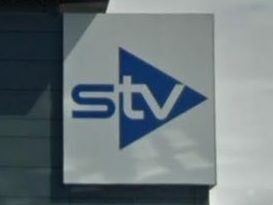 An STV source said: “The problem is the company has given us a very short time period for the redundancies, they aim to have all of them done by mid-June. “The process of informing the company and balloting could take several weeks and is a legal requirement. So the short time period for redundancies seems to have been an attempt to head off any strike. The NUJ meeting was described as “overcrowded, hot and stuffy”, leading to staff moving the meeting outside, where on-air talent including STV News anchorman John MacKay, politics editor Bernard Ponsonby and sports presenter Raman Bhardwaj were among those pictured. John Toner, national organiser for NUJ Scotland, said: “The STV NUJ chapel voted to conduct a ballot for industrial action. “There will be no industrial action until the ballot is complete. The issue would be compulsory redundancies and other matters that might arise. Press Gazette understands the 34 news roles to be lost will include 18 jobs in Glasgow (11 editorial and seven technical), seven in Edinburgh (four editorial and three technical), nine in Aberdeen and Dundee (three editorial and six technical). The period for voluntary redundancies opened today and is due to close on 31 May, while the full consultation on the future of news is due to conclude on 16 June. A second source, who also asked to remain anonymous, said: “As a union, we are pressing on with a ballot for industrial action due to the strength of feeling among members. The insider also added that the news team will “almost certainly be unable to avoid” compulsory redundancies “due to the numbers they are look for”. STV said its STV2 channel, which launched in April last year and airs news programming including STV News Tonight and current affairs magazine show Live at Five, was making a loss. Press Gazette is awaiting a response from the broadcaster on how its news team would work following the restructure. 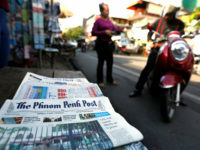 It has said it is recruiting a head of news to oversee the changes. Media union BECTU, which represents technical staff, is also involved in meetings over redundancies. The union said it would challenge proposed job cuts. BECTU said it had heard of 36 roles being put at risk, two more than claimed by STV itself, which had added to confusion over the exact number of people affected. An STV spokesperson confirmed the broadcaster is “actively engaged” in a consultation process with staff and unions. They added: “Following the announcement yesterday of our three-year growth strategy for STV, we confirmed to staff the commencement of a 30-day consultation period. Speaking during the Scottish First Minister’s Question Time today, Nicola Sturgeon said she was “very disappointed and concerned” about the job cuts at STV. She said: “This a time when it is more important than ever that the Scottish perspective on local, national and international news is reflected by our broadcasters. SNP member Joan McAlpine suggested the cuts were “part of a plan to prepare the channel for sale to ITV” which she said would be an “absolute disaster for Scottish broadcaster”. STV chief executive Simon Pitts said yesterday: “News is fundamental to the STV brand and we remain committed to offering the best news service in Scotland. He added: “We are very proud of STV News and our news team. However, news habits are changing rapidly and it is vital that we change too by investing in new technology, skills and digital but also by operating more cost-effectively. Pitts added that the decision had been taken to close the STV2 channel “as a result of the challenging economics of local television and anticipated increased competition from BBC Scotland”. He said the company will focus its future content investment on the STV channel and the online STV Player. 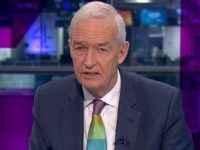 Ofcom has provisionally approved the BBC’s proposal to launch a new TV channel for Scotland with news and current affairs coverage “at its heart”, after assessing whether its public value would justify any negative effects on “fair and effective” competition. The BBC announced this week that the new channel is likely to go live in February next year, later than the original plan for autumn this year. Thanks a lot for a very useful post!